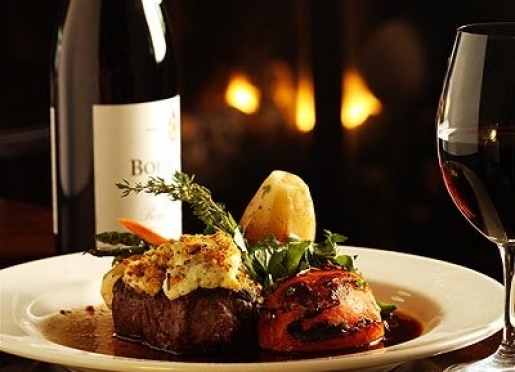 Each unique accommodation offers the perfect blend of classic charm and modern comfort. 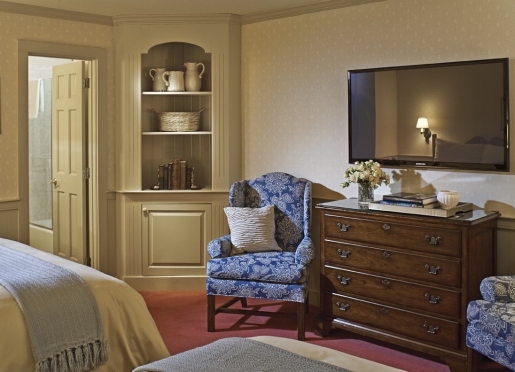 Rooms feature either one queen or two queen beds, Vermont hand-crafted furnishings and elegant décor. 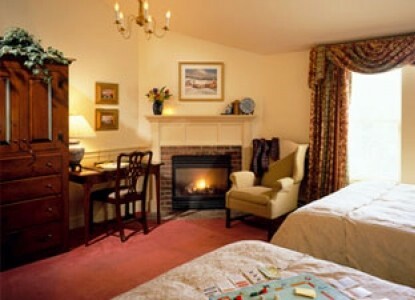 Classic accommodations are located in the Main Inn and Annex buildings. 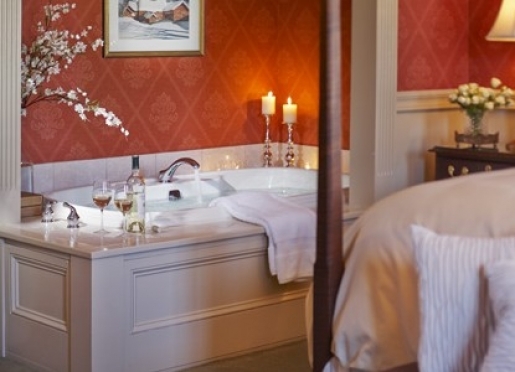 Each beautifully appointed room offers the perfect blend of classic elegance and luxury. Rooms feature either one king, queen or two double beds (most with canopy), Vermont hand-crafted furnishings and elegant décor. 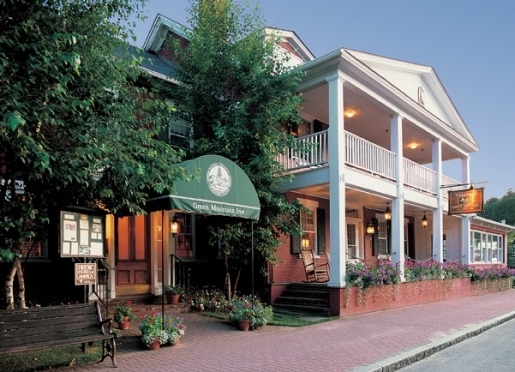 Accommodations may be located in the Main Inn, Depot or Club House buildings. 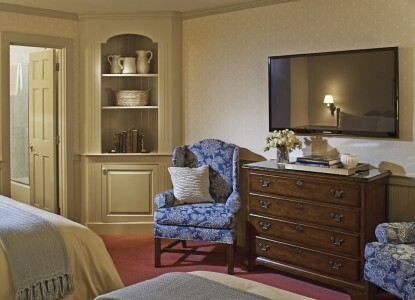 Our luxury suites and family suites combine classic elegance with every modern amenity. Accommodations are located in the Mansfield House. 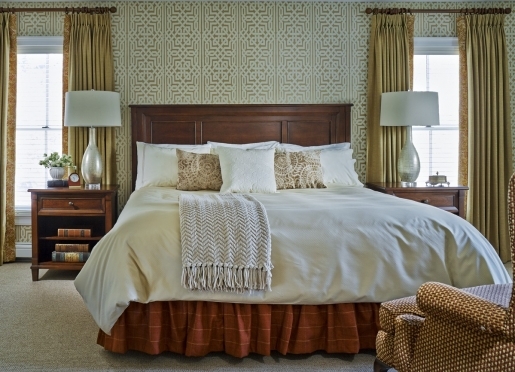 Enjoy many of the comforts of home in one of our luxury apartments. Rates start at $199 per night. Please visit our web site for details including pictures and descriptions of each apartment. 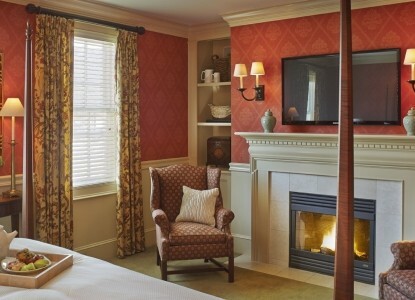 Our three-floor, two-bedroom Townhouses accommodate up to 4 people, maximum (rates are based up to 4 guests). The first floor features a spacious, beautifully appointed living room with two sofas, gas fireplace and cable TV (50+ channels) with DVD player. Directly off the living room is a half bath. The gracious, fully equipped kitchen features a gas stove, refrigerator, microwave and garbage disposal. The kitchen opens to a dining area with large dining table and french doors leading to a veranda. The second floor features two bedrooms and two baths. The Master bedroom features a king or queen size bed, cable television (50+ channels), walk-in closet and bathroom with oversize Jacuzzi tub and double vanity. The guest bedroom features two twin beds. The bath is located off the hallway. The basement features a large room for additional storage and a washer and dryer. 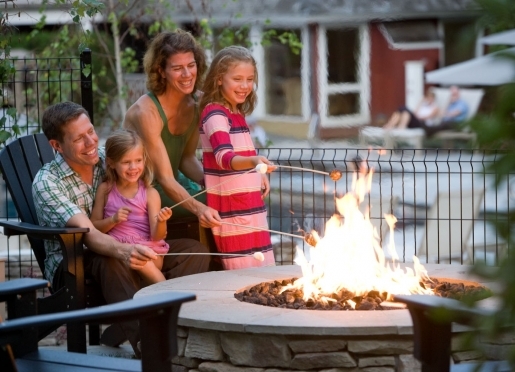 Guests of the townhouses are welcome to take advantage of all the amenities of the Inn, including use of our year-round outdoor heated pool, health club, and afternoon tea. Please note that there is a two night minimum for all townhouses year-round. 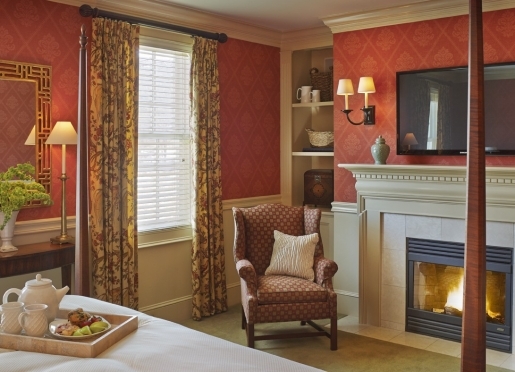 Our three-bedroom Townhouse accommodates up to 8 people, maximum. The first floor features a spacious, beautifully appointed living room with comfortable seating, gas fireplace and LCD HDTV flat screen cable television. Directly off the living room is a half bath. The gracious, fully equipped kitchen features a gas or electric stove, refrigerator, microwave and garbage disposal. The kitchen opens to a dining area with large dining table. You will also find off of the kitchen a den with full bathroom and a queen sleeper sofa couch. The second floor features three bedrooms and two baths. The Master bedroom features a king size bed, LCD HDTV flat screen cable television, walk-in closet and bathroom with oversize Jacuzzi tub and double vanity. The guest bedrooms feature one with a queen size bed and one with two twins. As mentioned there is a second bathroom located on the second floor to be shared by the two guest bedrooms. 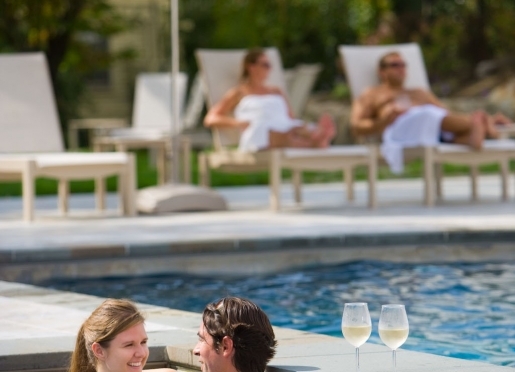 Guests of the townhouses are welcome to take advantage of all the amenities of the Inn, including use of our year-round outdoor heated pool, health club, and afternoon tea. Please note that there is a two night minimum for all townhouses year-round. 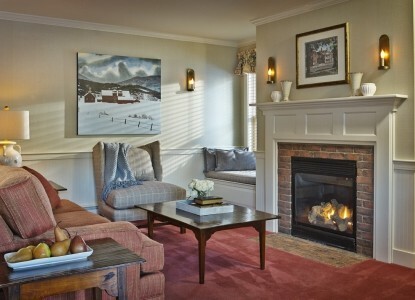 Thank you for making an inquiry about staying at Green Mountain Inn.